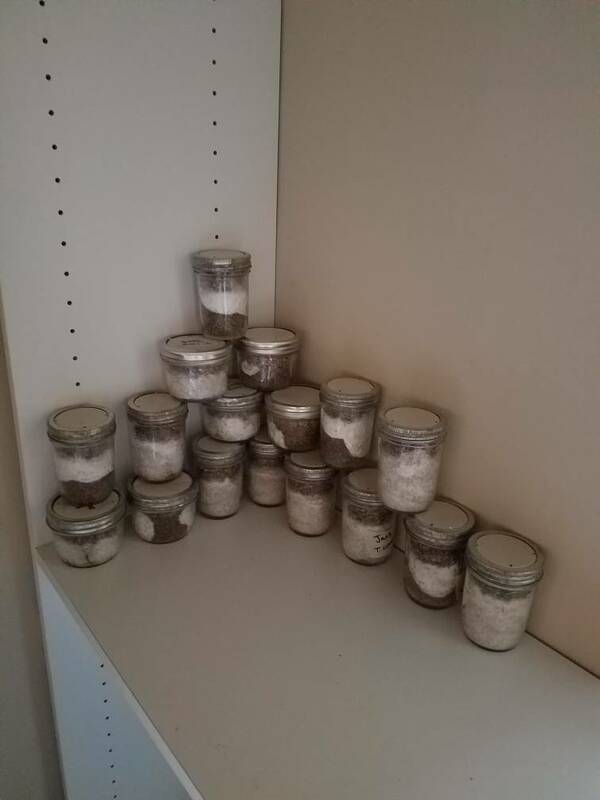 I am currently in the process of my first grow and I only just realized that the mycelium needs gas exchange to colonize, most of my jars are near full colonization and i never removed the foil from the tops. Is it recommended to remove the foil now or leave it on or maybe remove it in a sterile environment and attach filters? What should I do? Okay awesome.. This seems to show me that gas exchange is unnecessary?.. The jars have been covered for a month is there any risk of contams from the dry verm getting moist? From my understanding CO2 build up will slow/ stall growth and gas exchange is necessary at some point. If you are worried about gas exchange remove the foil. Be patient you got this. As far as the verm getting moist if you followed the PFTek to a T then you have no worries just don't shake the jars. Awesome thanks guys.. I will be removing foil when I return home! It looks like some of my jars no longer have a dry verm layer which indicates to me that it got wet and subsequently colonized.. does the likelyhood of contamination go down as colonization goes up? .. should i just uncover my jars for gas exchange or keep them covered for contamination resistance? It's not uncommon for the mycelium to reach up through the verm. Maybe post some pics? And yes, the more an area is colonized the less likely that specific area is to contam. Some of those pints look about ready for the FC - weird, as they generally take a LOT longer than 1/2 pints. Thank you sir, cleared them the spot myself!